Born in 19th Mac, 1969. 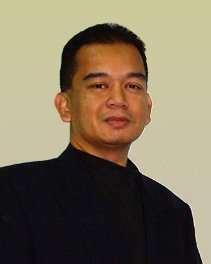 In 1994 graduated from University Teknologi MARA, with specialization in Accountancy. Have been with the Malaysian Finance & Banking Industry since 1995 and have been trading Equities actively since he was 17 years old. Also have been a professional speaker since 1997. Area of expertise includes Fundamental Analysis and Relational Market Analysis. Interest: Classical guitar, piano, tennis, golf, Self Defence and computers.